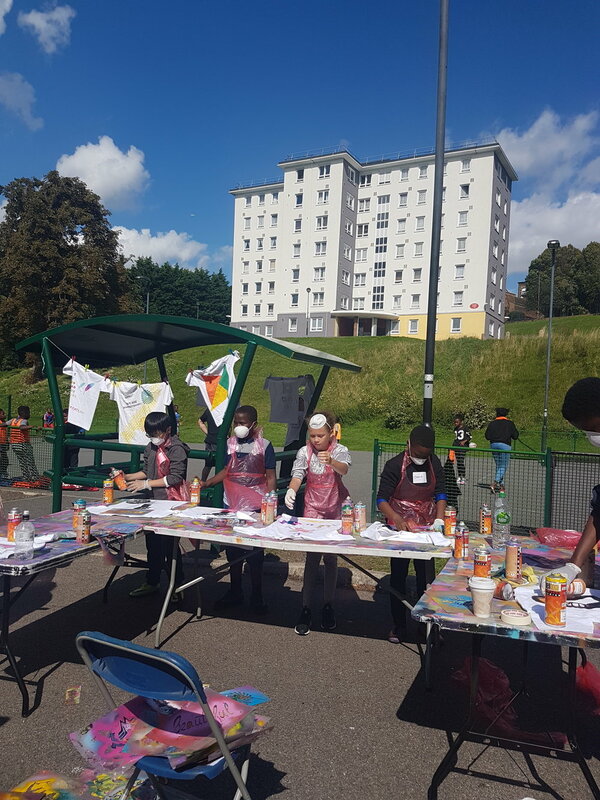 I was employed by the Young Urban Arts Foundation, to run some T-Shirt painting workshops, in 3 different locations over the summer. It was so incredible to watch the young people become inspired to play with the paint and learn different techniques to create their own unique designs. Please click on the link to find out more about the organisation, they are doing wonderful things! Was an honour to work for them -thanks to Sonority Turner for the hook up!